At Legalquest Network, P.C., we help clients throughout the Farmington Hills area with a variety of unique citizenship cases. In our over 25 years of experience, we have seen numerous citizenship cases, each one bringing new lessons in how to handle future cases. Citizenship petitions can take a long time to resolve, but you’ll find the best possible chance at success by working with the experienced lawyers of Legalquest Network, P.C.. We will manage your Farmington Hills area citizenship petition from start to finish. Filing the appropriate citizenship forms for legal status tends to be just one step in the immigration process. Each step depends on the way you are applying, and for many citizenship cases, more than one appropriate option exists. If you are dealing with citizenship matters in the Farmington Hills area, it is wise to work with a lawyer who has the necessary experience. 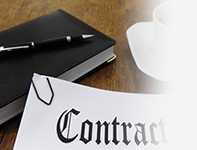 The over 25 years of experience and legal knowledge that we at Legalquest Network, P.C. have garnered will greatly help you get through your citizenship case successfully. Your citizenship case is important, but it can sometimes be lost to other matters in the Farmington Hills area courts. Call us at (248) 663-1000 for a persistent voice to ensure this does not happen.